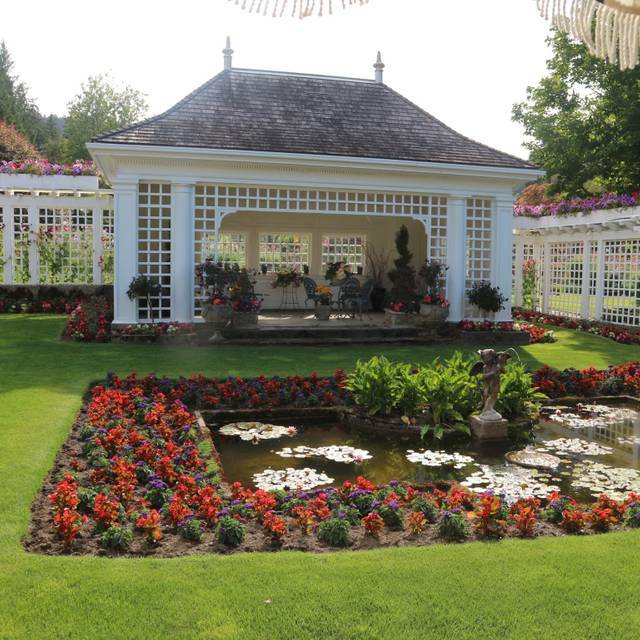 The Dining Room Restaurant is located within The Butchart Gardens, so admission to The Gardens is required. You will be guided to your complimentary parking spot. $41.25 Per Person​ - 24 Hours’ Notice Is Required to Accommodate a Gluten Free Tea. Just lovely!!! The servers were especially nice and the setting can’t be beat! Loved it!!! Elegant and great setting for many different occasion. Unfortunately the staffer only performance average. Maybe the management need to review the training and purpose of customer service they are located in the best part of most beautiful gardens. Mon mari m’a invitée au Afternoon tea pour mon anniversaire. Tout à été parfait. High Tea inside the Butchart family "mansion" was the perfect way to finish my day at the gardens. I was curious to see inside the building and so happy when they said they've kept all the old furnishings intact, as much as possible. Being pretty tired by late afternoon, I thought this would revive me. It was plenty for a late lunch/meal. I highly recommend the fruity black tea, but can't remember its actual name. When I come back in summer to see the roses, I'll definitely relax here with High Tea again. - the young woman who was filling up our water glasses would stand beside our chairs and reach right across us rather than behind us to reach the glasses. There was plenty of room to manoeuvre behind us. - we were taking pictures; in the past, a server would always offer to snap the photos so all could be included. Not this time. - once the food and tea were delivered, we were never approached again to ask us if we wanted anything else (or to fill up our teapots with more water, as is usually the case). We wanted fresh plates for our sweets after eating the savoury items (by then the plates had mustard etc. on them). It’s not usual to replace the plates in-between courses, but I’ve found the servers always happy to oblige. For 10 minutes I tried to get the attention of one of the servers, to no avail. To summarize, the greatest disappointments were: 1) the length of time we waited once we were seated for anyone to approach our table (in a not-busy room), and 2) not receiving any follow up service after our food and beverages were delivered. This experience was during the afternoon of Tuesday, April 16, in the room with the view facing the Inlet. 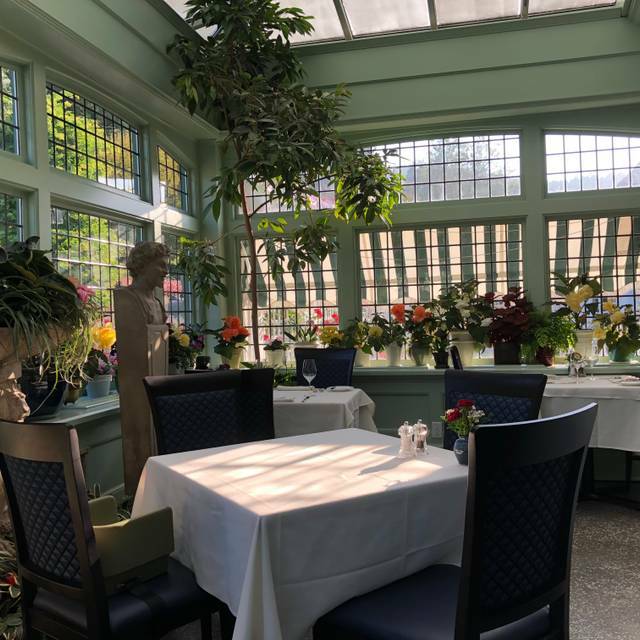 I was visiting the Gardens with my mother and daughter as part of a 3 generation "girls trip", and we thoroughly enjoyed having Afternoon Tea in the Dining Room as part of our lovely day. The service was great, the food and tea and wines were just right. All in all a very enjoyable experience! We had afternoon tea, after touring the gardens. The experience was excellent and food was delicious. Try the Limosa for a refreshing drink. The vegan tea menu is outstanding - fresh, delicious and innovative. We have already booked to go again and this time we're taking friends. The food was great, the atmosphere was excellent. Surrounded by a private garden and full of well-maintained plants, the dining room gave us the best experience throughout the rainy day. High tea was a big portion as it's 3 layers of food. Not sure whether it's shareable, we ordered 2 high tea for two people and had to pack the rest. Our waiter was attentive and professional, and they were able to accommodate my tree but allergy. I had the high tea and it was delicious. Probably the best I’ve had. We had a wonderful view of the Italian garden and did not feel rushed as I made a quick sketch. The tea was explained clearly and concisely so I had no surprises. A great experience that I recommend. Fun place to do high tea! Not over the top and scaled back. Fabulous food and lovely ambiance. Great value, especially if you have an Annual Pass! Excellent food and service! I highly recommend it! Lovely setting and exceptional service. Nice selection of teas. We had a wonderful time. A lovely place to feel pampered. My girlfriends and I had high tea. It was a delight to sample delicious treats. The area we sat in was cozy and the view of the gardens were amazing. The service was excellent as was the food. The experience was outstanding; we enjoyed the high tea very much. 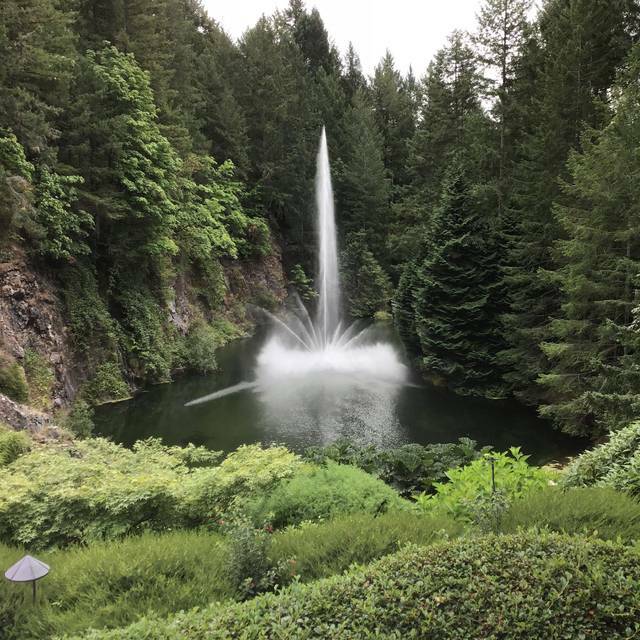 To me and my husband, the tea at the gardens was almost but not quite worth it. I understand high tea is more for the experience than just the food and tea, but the price was still a bit steep for us to feel like it was totally worth the money. 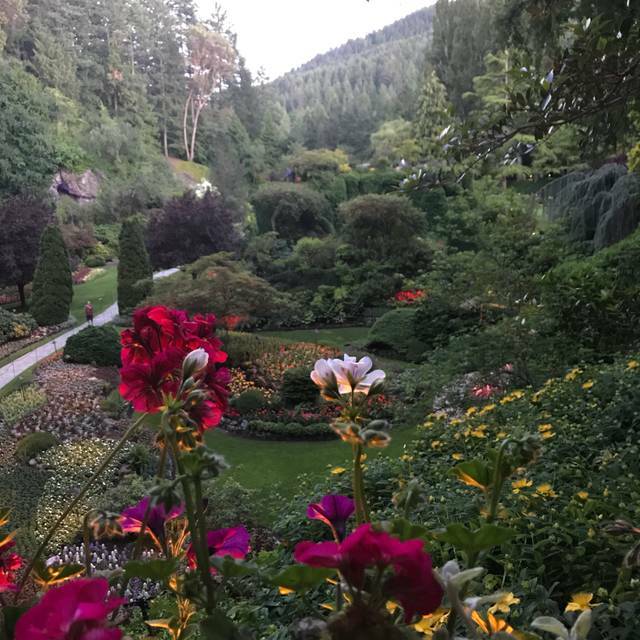 That feeling was probably contributed to by the fact that the butchart gardens didn't have a super spectacular display in early spring, so the admission fee and the price of high tea really felt like it was a bit much. I know others who would have loved the experience no matter what though, and I know the food, tea, and staffing were very high quality no matter the cost and the tea sandwiches still filled us up. 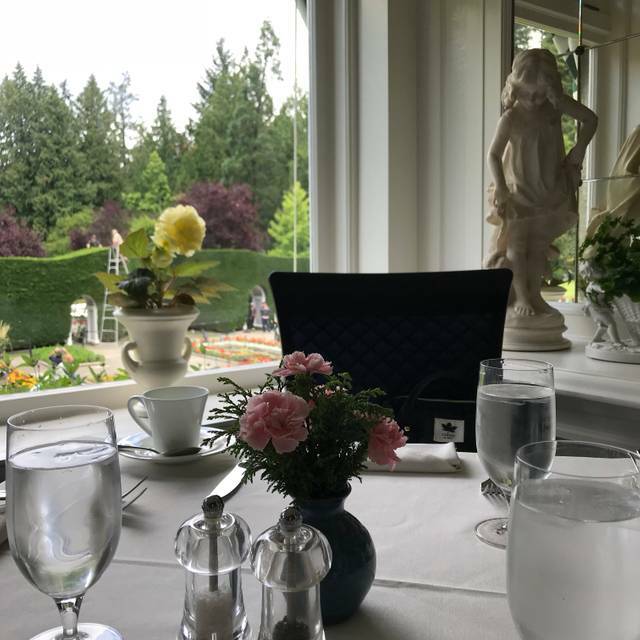 The Dining Room at the Butchart Gardens is a sumptuous and inviting dining space. My son and I were thrilled with our entire dining experience. The service was exceptional and our tea service amplified the beauty of our visit to the gardens. Tea was perfect after a walk through the gardens. 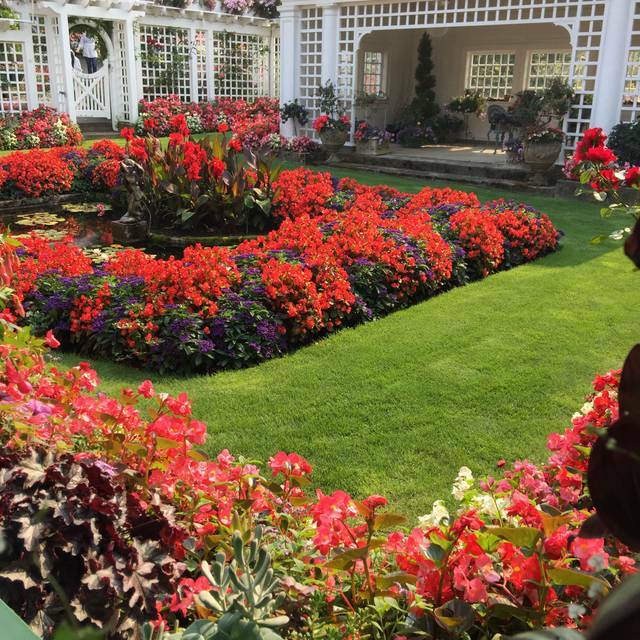 It was just to bring my mum for a visit at Burchart Garden. Very pleasant atmosphere. Everything is wonderful and the servers are really good about answering questions. The Dining Room makes the most of its beauty and setting in the gardens. It is elegant without pretense. This was our second High Tea there; each time has been memorable. The food is high quality, very fresh, and tasty. The service is good. 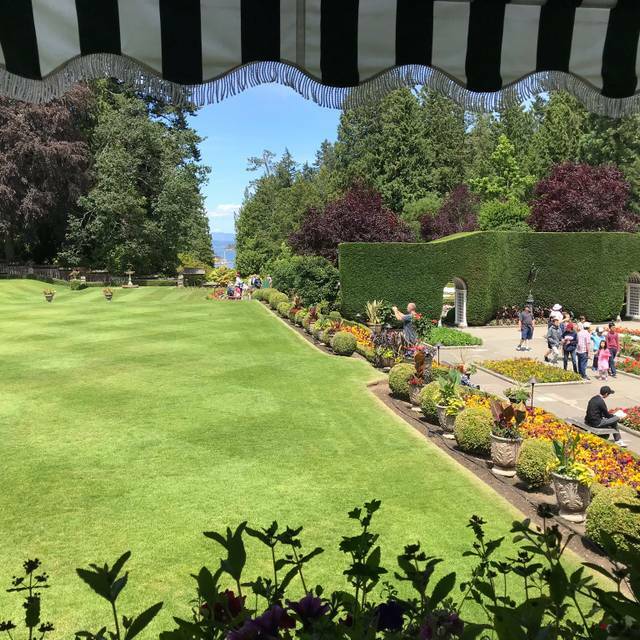 I've sampled teas in a number of other venues and the one at Butchart Gardens ranks right at the top. To my budget it is a little pricey, especially added to garden admission, so it's an indulgent splurge but worth it. My only quibble, which I consider minor, is that my pot of tea was rather weak and there didn't seem to be a lot of loose leaves in the brew. Lovely vegan options. Tea was lovely. Only small recommended change. The scone was too much on the sweet side along with the cream. Great experience, our first time at tea there. Our server was friendly but not overwhelmingly so. We had great food, even though we have dietary restrictions, which they were happy to accommodate. My son did not want to participate in the tea (he has a very specific palate which leans toward fast food), but he was able to find something he could eat on the a la carte menu. Perfect! My only negative is: I was surprised to find no choice of wine. There were ample choices of other alcohol beverages including beer but no wine? WE had a wonderful lunch looking out over the gardens, the Caesar Salad was done to perfection and the chicken dish was very good. A lovely lunch and then a stroll through the gardens lent to a lovely day. The chicken was a touch overcooked but overall the meal was very good. The other dish was salmon and that too was overcooked, a little disappointing. The dessert was exceptional. Our high tea was a wonderful experience. We were lucky enough to have a seat at the window overlooking the garden. The food was all delicious and presented with excellent service. We were there for 2 hours and didn't feel rushed at all even though it was very busy. Mother Daughter celebration... Just lovely! We had tea in the dining room.The food was good, the service was good, and the restaurant is SO pretty! It was great experience! We loved walking around the gardens and having lunch while we Were there before we headed back to town where we were staying. The food was very good! It's a beautiful place to enjoy your dining experience. 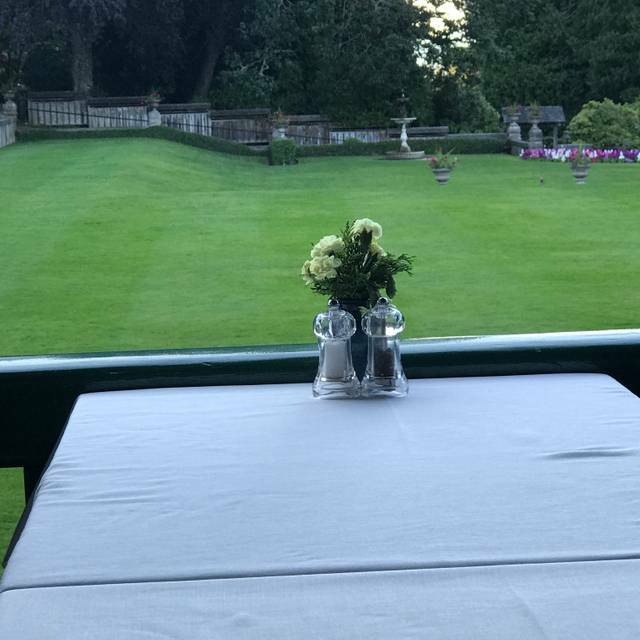 Beautiful setting for tea! Definitely enjoyed the setting and the service was great. Delicious desserts! The scones were divine, the atmosphere was magical. The rest of the high tea offerings were okay, but not as tasty as other places serve. 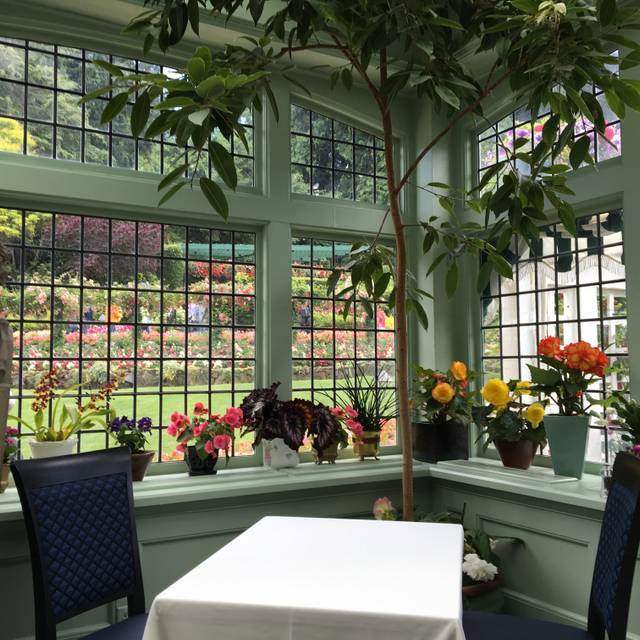 However, the beautiful conservatory and the price make up for the hit and miss food. Worth it. It was absolutely beautiful, delicious, and delightful! A must for High Tea.